For students who may have fallen into a post-New Year’s rut or are looking to start fresh with healthy habits, Stamps Health Services sponsored their fifth annual Campaign for EveryBody this week to encourage positive body image perspectives. The Campaign for EveryBody promotes the importance of healthy perspectives on a variety of topics ranging from body image issues to exercise to proper dieting. It serves to reinforce and to introduce new ideas that remind everyone of ways to lead a healthy lifestyle at Tech. 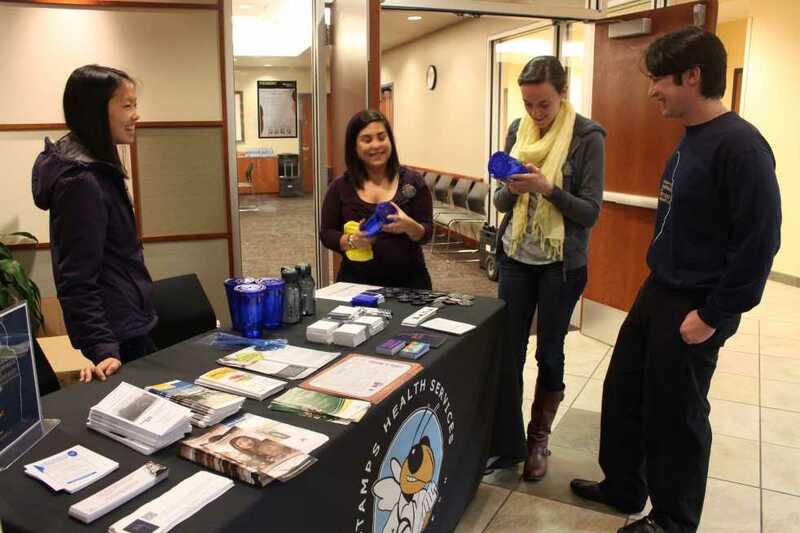 Volunteers from different health services on campus, including Stamps and the Women’s Resource Center, planned a week full of events to bring awareness to the issues that students might be facing, both on physical and emotional levels. All of these resources provide both counseling and one-on-one advice to students who may be concerned about their health or general well-being. The goal was to make sure that students are aware of the importance of being in a good state of mind and body, and regardless of the seriousness of their issues, asking for help and getting advice right away is the best approach. The campaign officially kicked off on Monday in the Student Center, where students could sign a banner with positive notes of encouragement to promote healthy body image perceptions and to show signs of peer support. “Body image issues are important to address. While most students are engaging in healthy behavior, some students are not. Our mission is to promote body image resources on-campus and to encourage student involvement regarding body image efforts,” said Michelle Cohen-Segall, co-chair of the EveryBody Campaign. There are always social pressures to have specific physical qualities, and as with popular conception about Tech, many students often find themselves under academic stress as well, which can also lead to health problems. “We want to see students talking about body issues and learn to connect health with success,” said Cohen-Segall. On Tuesday, a screening for Disordered Eating Habits was also held in the Student Center, where students could fill out surveys about their eating habits and sit with a counselor immediately to discuss any potential problems and resources that would be available to them. The survey addressed both current eating habits and how students feel about how they look. This event gained a lot of success as students came to find out more about themselves and get personalized advice from experts. This event targeted not only people who may have eating disorders, but people who have issues with their physical self-esteem, or even those who just want to try new ways of dieting. “This campaign is important for Tech because it’s easy to slip into bad habits and think about looking a certain way. You should work with what you have,” said Michelle Vu, a third-year Biochemistry major who volunteered at the event. Vu is part of the Stamps Health Services Ambassadors, a group of students who have opportunities to volunteer at health promotion events like this one. Other events throughout the week included free classes at the CRC for power yoga, TreadFit and indoor cycling. These classes were put on as ways to encourage creative and fun ways to exercise. The week’s activities conclude with a Tech Chef Cooking Competition on Saturday March 2, a nutritional cooking competition that students can participate in, or just watch. The Body Image Committee has put on this week-long event for the past five years to encourage positive discussion of body image on campus.